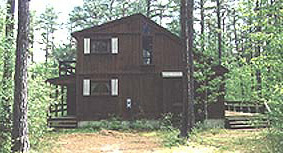 The house is a short walk/car ride (1/2 mile) from a private Beach Club. Beach Club membership is limited to homeowners in the area and their guests/renters. Renters do not pay any extra fees. The beach is a large sandy beach with roped-off swimming area and a raft to swim to. There are also benches and restroom facilities. There is ample free parking. You can also launch small craft (canoes, kayaks) right off the beach. A nearby marina rents canoes, boats, jet skiis and more. Excursions around the lake can be booked there and personal boats may be launched from their facilities. For details see below.